Jacobsen are industry leaders when it comes to education, advocating both workplace learning and personal growth. 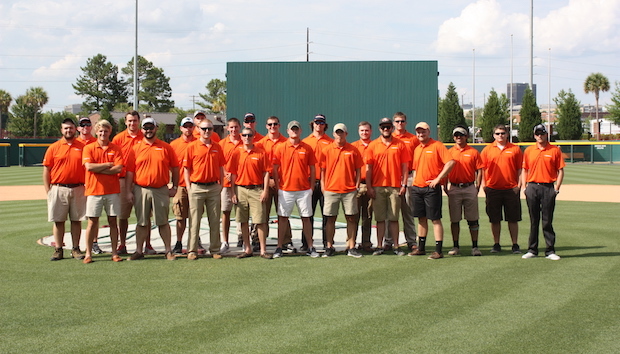 Their annual event in the USA, the Future Turf Managers Initiative, was again held in Charlotte, North Carolina. Open to the top performing students from universities across the country, the event gives turfgrass students an opportunity to network with industry professionals, see some of the best managed sports fields in the U.S, and also get an insider’s look at Jacobsen’s turf maintenance equipment. This year international students were invited to attend and Jarryd Graham from Victoria’s Kew Golf Club was nominated by TAFE, Melbourne Polytechnic to attend the invaluable three-day event. “We got to go around the Jacobsen manufacturing facilities, which was pretty good to see all their machinery getting built. They build it all in one place now, they are based in one big manufacturing plant which was impressive,” Jarryd said. “From there we went to their distribution centre, which is a couple miles across town, and we got to go to a couple of golf courses, one being the Peninsula Golf Club, and the other Sage Valley GC, which was fantastic. Jarryd said it was great experience to see an NFL field at the University now that American sports are having a bigger impact in Australia than ever. He also said it was interesting to see the differences between studying for the turf industry in Australia and the U.S.
“In Australia when we do our apprenticeships we’re more practical based, whereas over in the USA, they go to university full time for three years and then intern on their holidays. It was a bit of an eye opener,” Jarryd said. When asked if he thought one scenario was better than the other, he said they both have their pros and cons and each learning style is beneficial to the industry. 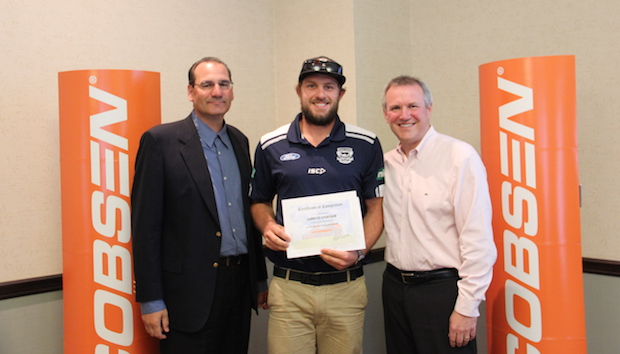 Jarryd was grateful to be the only Melbourne Polytechnic student from last year’s Diploma of Horticulture of Turf Management nominated for the educational tour. “It’s [the Future Managers Turf Initiative] a good stepping stone to have on your CV. The teachers recognise that later down the track I’d be a good candidate for a leadership position at another golf course,” he said. What Jarryd didn’t realise was that he would be using the skills he picked up from Jacobsen’s tour a lot quicker than he’d expect. 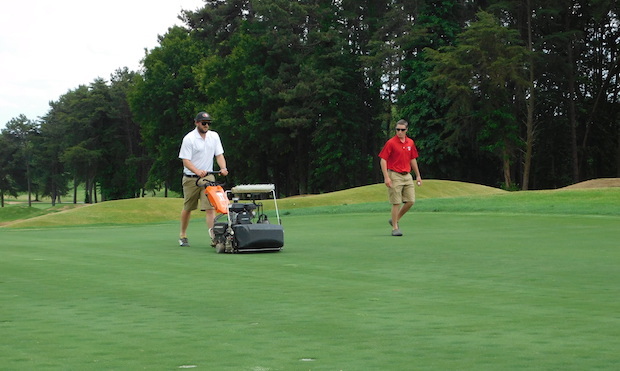 Having recently gone through a transitional period at Kew Golf Club of changing Superintendents, Jarryd was able to put his new skills to use. “In the interim I’ve been able to step up with the assistant and we’ve been running the course for the last month now. [Having attended FTMI] showed the committee at Kew that I’m a person that’s able to handle all the jobs and that sort of thing,” he said. 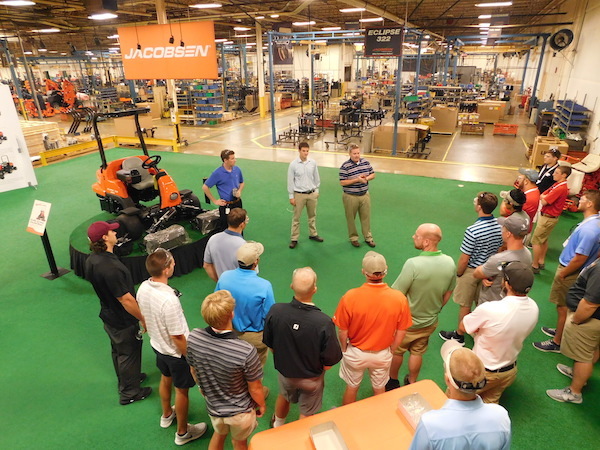 Lastly, and perhaps the most important factor of all is Jacobsen’s Future Turf Management Initiative gives attendees an insight into their possible future in the industry; giving the next generation in turf management an opportunity to see what lies ahead for them. Jarryd said Jacobsen’s event only confirmed that this is the career path he wants to take.